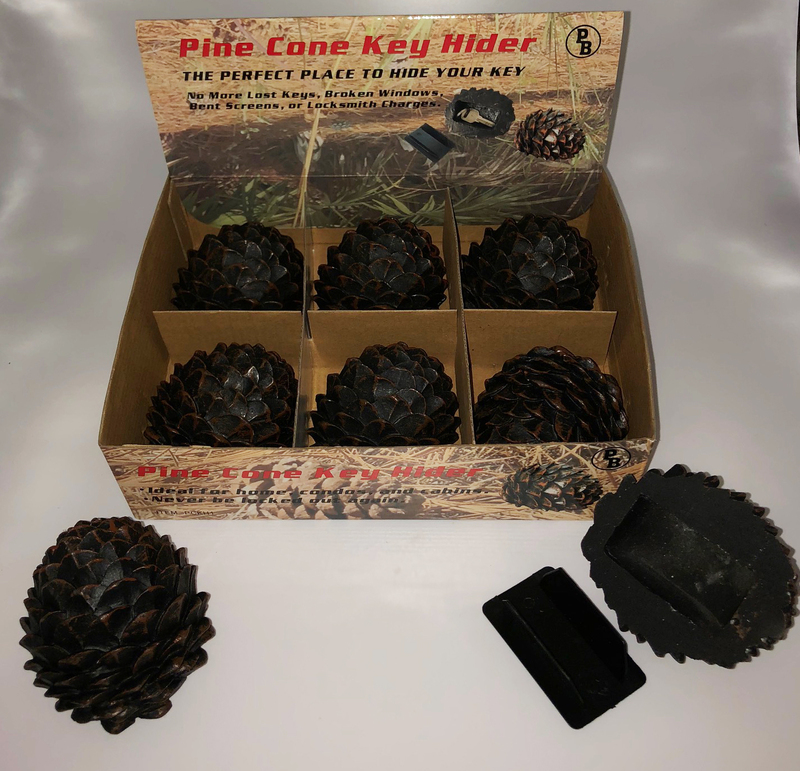 Our Pine Cone Key Hiders are available 6 pieces per display box. All pieces in the box are the same size, approximately 3.5" X 3" X 2". Coloration is a shade of "Antique Brown". These are ideal for home, condos, and cabins. Never get locked out again.